After waking up in a Florence hospital with no memory of the past two days, Harvard symbologist Robert Langdon finds his life endangered. After a narrow escape from an assassin, he and emergency room doctor Sienna Brooks try to prevent the release of a deadly virus. 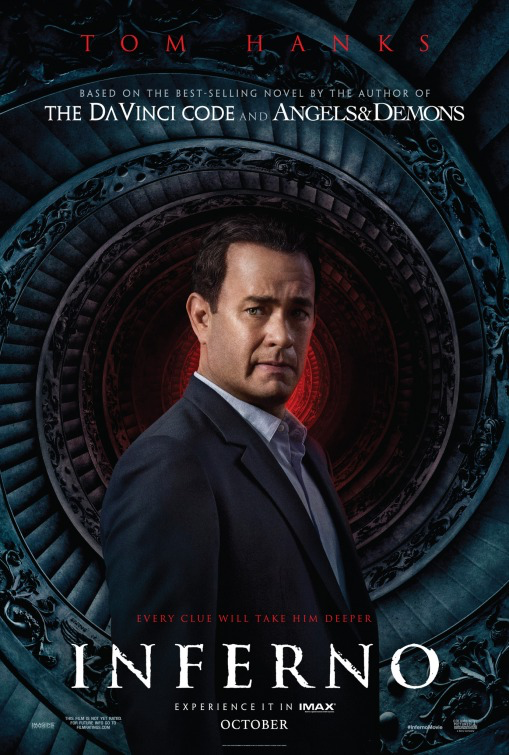 Like Dan Brown’s other books that were made into movies (The DaVinci Code and Angels and Demons), Inferno will educate you on Renaissance art and architecture while keeping you on the edge of your seat. With plot twists and ambiguous characters, Inferno will keep you guessing until the very end!